Get your sea legs ready for this seafood adventure. You’ll be taken on a morning boat trip mackerel fishing, and once you’ve reeled in your catch it’s off to Occombe Farm Cookery School where the sous chef from the Michelin-starred Elephant Restaurant will show you how to turn your catch into a culinary masterpiece. You will get hands on with the fish and learn to cook delicious fish dishes, which you will enjoy for your lunch. 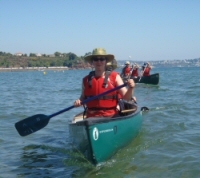 While at sea, you'll be accompanied by a ranger from the Torbay Coast and Countryside Trust who'll provide a fascinating commentary on the coastal landscape of the English Riviera, its wildlife, its fish stocks and why the area is recognised by UNESCO as a Global Geopark. If you’re in search of an adrenalin rush there is no better way to explore our Geopark coast than through this thrill seekers adventure! 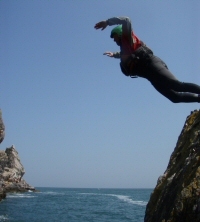 You will experience Torbay's incredible coastline through the exhilaration of coasteering as you are taken on a thrilling trail by an experienced instructor. You will find yourself negotiating rugged coastlines, swimming across inlets, climbing on some of our spectacular cliffs and for the more adventurous - taking part in adrenalin fuelled jumps into deep water! Wondering what it's like? Then click here to watch the Coasteering fun with Reach Outdoors short film. Explore the Geopark's spectacular coastline on this memorable canoe adventure – this is the perfect way to discover the Bay’s stunning marine wildlife and fascinating geology. You will be kitted out and shown canoeing techniques by an experienced instructor before taking to the water to begin your sea voyage. You will be accompanied by a marine ranger throughout the trip to help you spot spectacular marine wildlife such as seals, dolphins and seabirds. We will stop in a secluded cove to enjoy a beach picnic and a brief rockpooling session. During your return journey, you will have the chance to test your canoeing skills by weaving in and out of the rocky crevices. An unforgettable evening boat trip exploring our amazing Geopark coast with a marine ranger who will tell you more about the local geology and will help spot dolphins, seals, seabirds and other amazing marine life. 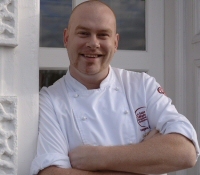 As the sun goes down enjoy a dish of delicious local mussels and crusty bread cooked up by expert chef David Jones of Manna from Devon Cookery School. Additional information: Please let us know of any dietary requirements when booking. There will be a bar on board the boat to purchase drinks.